Our connections to renowned instructors, superior knowledge of each ski school’s facilities, and years of experience operating in the Niseko area ensure you’ll gain the abilities needed to realize your powder aspirations. We’ll ensure your child cultivates the ability and confidence they’ll need for a lifetime of riding the slopes. Just let us know your child’s name, ability level, age and existing allergies, and we’ll do the rest. The registration time for Tictac Programs is 09:15 and Yuki Program is 9:45. Greeting and grading takes place at 10:00. Pick up time for all NISS Kids Group Programs is 15:30. Early drop-off is available at no additional cost. Guests are free to drop their children off at the NISS Hirafu office from 08:30, where our concierge staff will ensure your children stay entertained until they are whisked away to their lesson. For multi-day discounts, lessons must be on consecutive days and must be booked within the same transaction. Lessons taking place in Hanazono include a free round-trip shuttle from NISS Hirafu. Both the Tic-Tac Kids Club and the Yuki Program include a tasty lunch at Hanazono 308. Lesson prices do not include ski lift passes or ski rental equipment. Any allergies must be made known at the time of booking. This full-day group program puts fun first. Lessons take place in Hanazono, a spacious area with 3 magic carpets and minimal hill traffic. With a dedicated beginner’s area, Hanazono is a safe and convenient place for little ones to learn the basics. Children are taught and supervised by a qualified NISS instructor and are limited to 6 participants. The Tic-Tac Kids Club is skiing only (i.e. no snowboarding). Ski poles are not required for the Tic-Tac Kids Club. 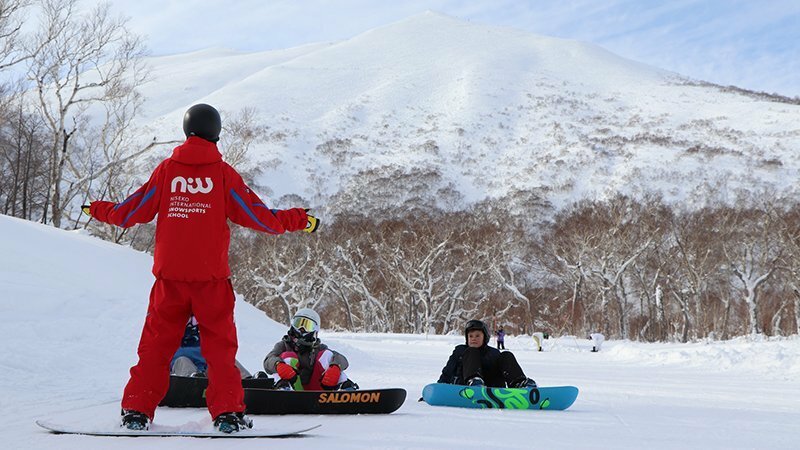 The sky’s the limit in this action-packed, full-day program, where kids will explore all Hanazono and Niseko have to offer, all the while being expertly supervised and mentored by a professional instructor. More advanced levels can make forays into the Niseko Village and Annupuri portions of the mountain as well. Yuki groups are separated into skiers and boarders, and are limited to 8 participants. The Grand Hirafu lift pass is sufficient for skill levels 1-3, however, the Niseko United All Mountain pass is recommended for skill levels 4-5. Ski poles are not required for levels 1-3. Kids learn best when they’re having fun. The child-specialist instructor will incorporate entertaining teaching aides and special techniques into this private lesson designed to accelerate a child’s ability without sacrificing fun or safety. Flexibility is key; choose between a morning, afternoon or full-day lesson, with a choice of starting in Hanazono or Hirafu. Enroll up to 6 people under the guidance of a single private instructor for no extra charge. Customers of intermediate levels or above are advised to get the Niseko United All Mountain pass so that your group can explore the entire mountain. Group lessons are great fun and provide a wonderful opportunity to meet new people while learning to ski or snowboard. Start your day off with a morning lesson, or extend it to a full day for just an extra ¥2000. Groups are capped at 5 people to ensure sufficient 1-on-1 time with the instructor. Registration for Adult Group Lessons is from 09:45 in Hanazono with classes leaving at 10:00 sharp. Customers of intermediate level or above are advised to get the Niseko United All Mountain pass so that your group can explore the entire mountain. Guests doing multi-day lessons are allowed to switch between skiing and snowboarding at no extra cost - subject to availability. Please advise NISS staff if you will change disciplines. The ultimate in skier or boarder improvement is a NISS personalized private lesson. Take your abilities to the next level - whether that’s simply learning to ski parallel or refining your technique in the terrain park. 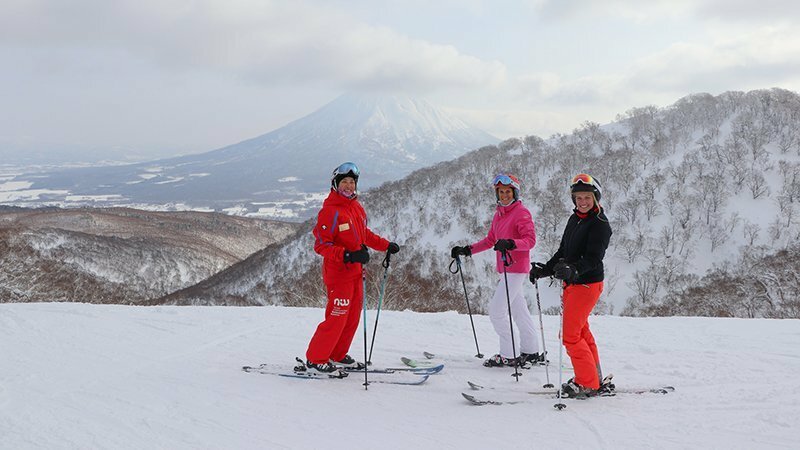 Enjoy the best terrain Niseko has to offer and learn more in less time. Flexible start times for the Niseko Classic Day lesson. Niseko Classic Day has the choice of Hirafu or Hanazono for the lesson’s starting point. Those starting in Hanazono receive a complimentary hot drink and pastry. Guests must start in Level 1 on first day of product. Progress to a maximum of level 3 by the third day. Women with children are entitled to a 10% discount when enrolling their kids on Tic Tac or Yuki children group lessons during the duration of their program.